Defeat your enemies with your success. 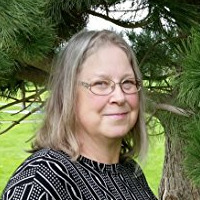 "Ancient Ways now Bronze Medal Winner by Illumination Book Awards"
Author, Diane Olsen, is the prolific writer and award-winning author of her debut book titled; "Ancient Ways: The Roots of Religion." Her Ancient Ways is thought-provoking and an informative look at the development and evolution of religion throughout time and a well-considered concept - the idea of a connective thread of monotheistic faith throughout the history from the birth of human creation. Now comes her new release titled; "RISING WIND: The Thunder Beings" (Book One a Series.) Adapted from an original screenplay Diane wrote several years ago, she has now written it for all her readers to enjoy as an amazing Fiction, Action Adventure, with Super Natural and Mystery elements. Diane was born in Colorado Springs, Colorado and she now lives in the beautiful Pacific Northwest and the State of Washington. Diane was an Undergrad at Colorado State University Ft. Collins: Pre-vet med, Anthropology, then attended and received her BA and MA at the University of Montana, Missoula: Anthropology, Archaeology, and Paleontology. She was a Graduate Teaching Assistant for two years. Diane enjoys writing, reading good books, spending time with her grandkids, and loves cooking.